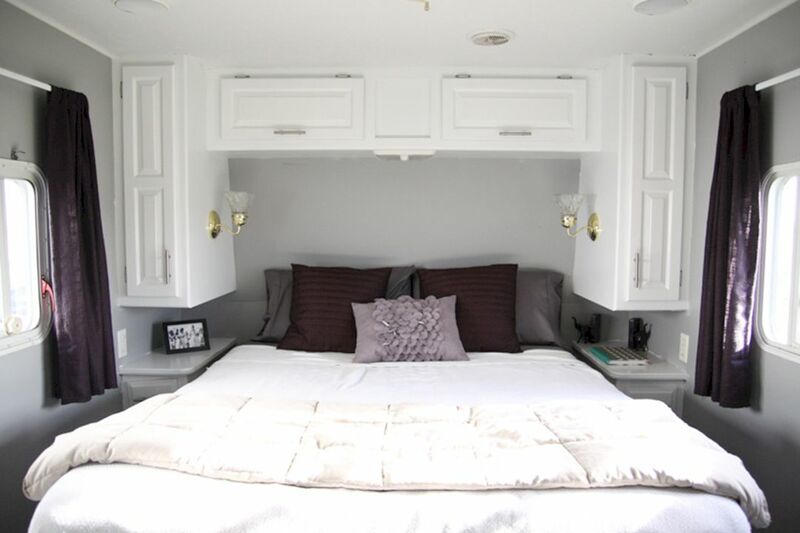 How to Make Your RV Feel Like a Home? What is the point of an RV camping if it does not feel like a home away from home? Many people may point to the thrill and adventure of hitting the road but you can always take your car for that, end up in a motel in the night, and call it a day. Taking a road trip in your RV means bringing your hotel with you…and your kitchen, living room, bedroom, and the list goes on. The vehicle should feel like a mini-home because you are practically living in it. 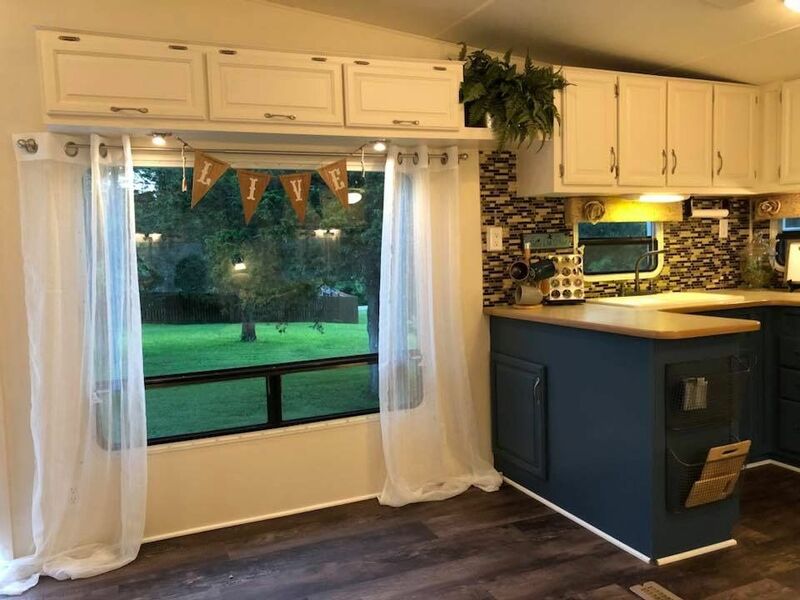 Whether you are a full-time RVer or like to take weekend trips, there are plenty of ways to make the mobile home cozy. It’s about recreating the comfort found in your home without stuffing it with too many items. Here are 9 things that can transform the RV camping a cozier experience. Most motorhomes come with a cheap, thin mattress that makes sleeping on it a torture. You can easily replace it with something better, something that makes you feel like you are sleeping in your bedroom. Some of the best RV mattress brand names are DynastyMattress, Parklane RV Mattress, InnerSpace, and Serenia Sleep. 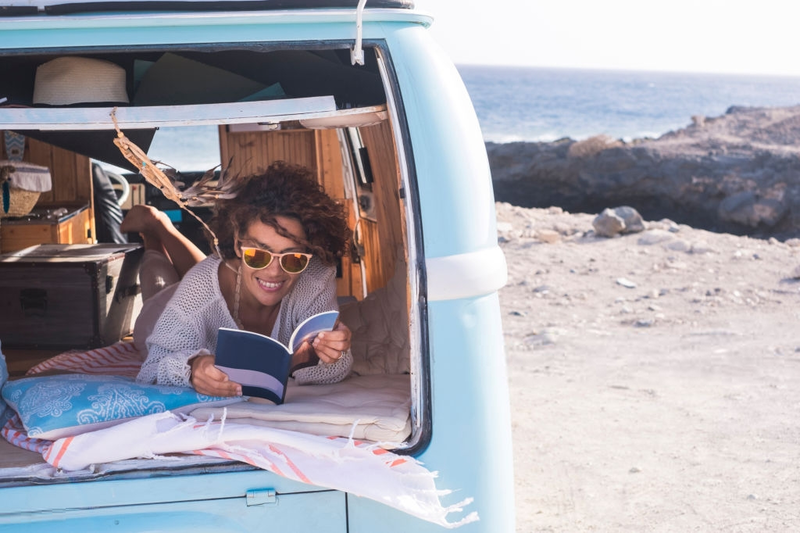 Purchasing a good-quality foam mattress from any of these brands will give you the comfort of home when you are on the road. Spend for a good-quality mattress. Stay away from the air mattress unless you live in a tiny RV where space is at a premium. These things keep losing air because of the road bumps. 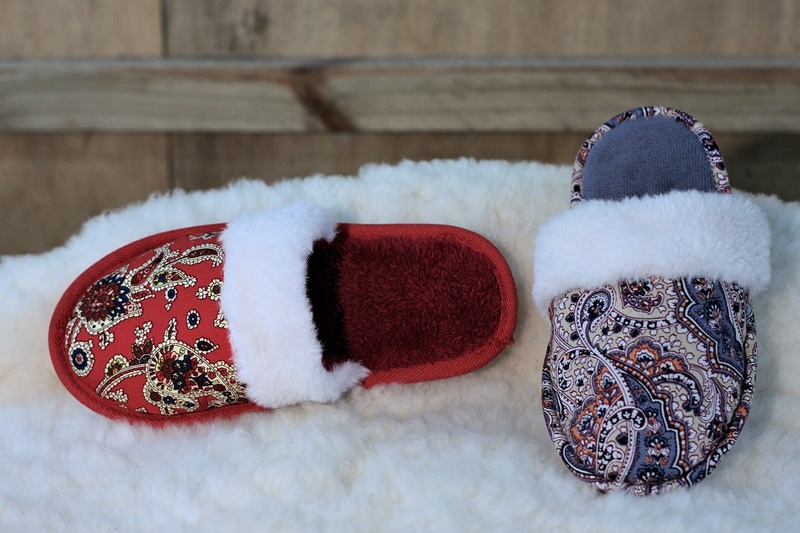 Complete the bedroom setup with a pair of snuggly slippers. It always feels great to slide into soft, warm bedroom slippers when you are inside the vehicle. Many RVers never take their shoes off even when they are inside, so they are never really relaxed. Also, using slippers inside the vehicle is good for keeping the floors dirt- and scratch-free. Wear slippers and feel like home. Every home has a cozy spot where you can cocoon yourself and enjoy a few hours relaxing. 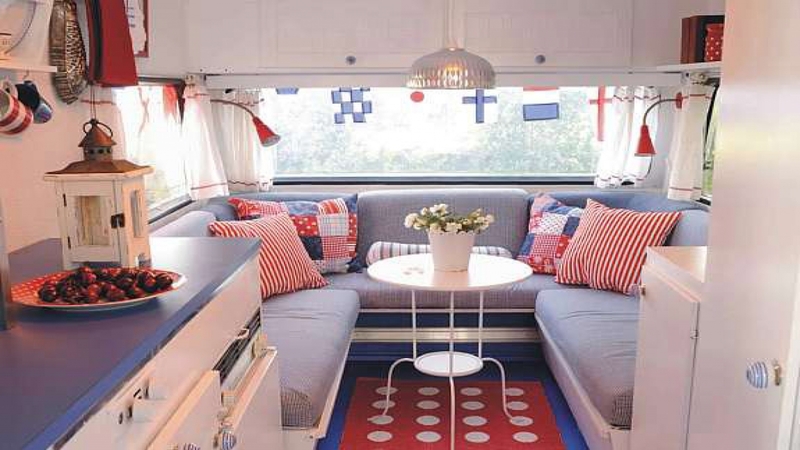 To make your RV camping feel like home, you can create such a spot with plenty of pillows and a couple of blankets. It will also add some colors and patterns to the overall décor palette of the vehicle. Create a cozy spot with throw pillows and blankets. If you have planned for a road trip for at least a few days, you should purchase a lap blanket. It has to be light enough to be carried from one place to another. Such a lap blanket can be used for various purposes. 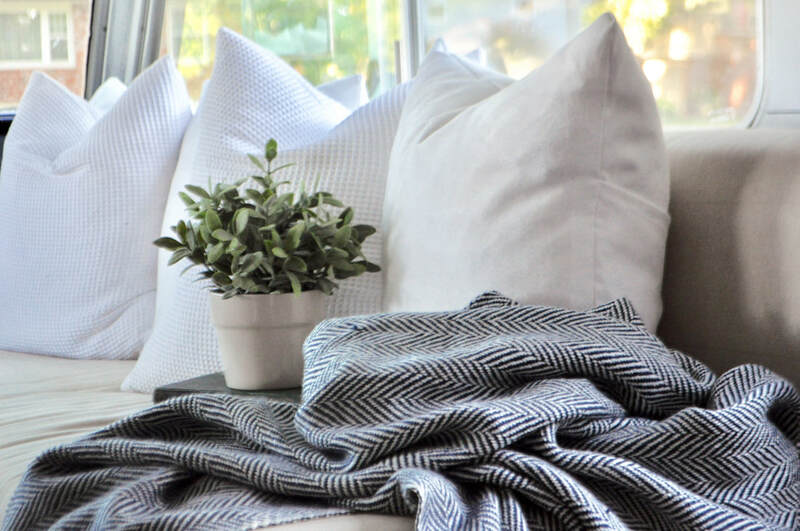 Drape it over the shoulder when you are sitting outside, lay it on the feet to keep them warm when driving in a cold day, or just hug it while lying on the couch or bed whenever you need comfort. Lap blanket can cozy you up in a minute. Windows take up a great amount of space in your RV that you could imagine. Using curtains transform the place into something warmer and more inviting. Finding curtains of the right length could be difficult but a bit of sewing work or hem tape will be enough to shape them to the right size. You can hang them from light, adjustable curtain rods, similar ones that you normally use at home. Curtains make a place more inviting. However, if the old-fashioned, oversized curtains hurt your fashion sense, go for valances. They are available in various styles and their small size seems harmonious with an RV’s compact interior. You can craft them yourself with your choice of fabric. 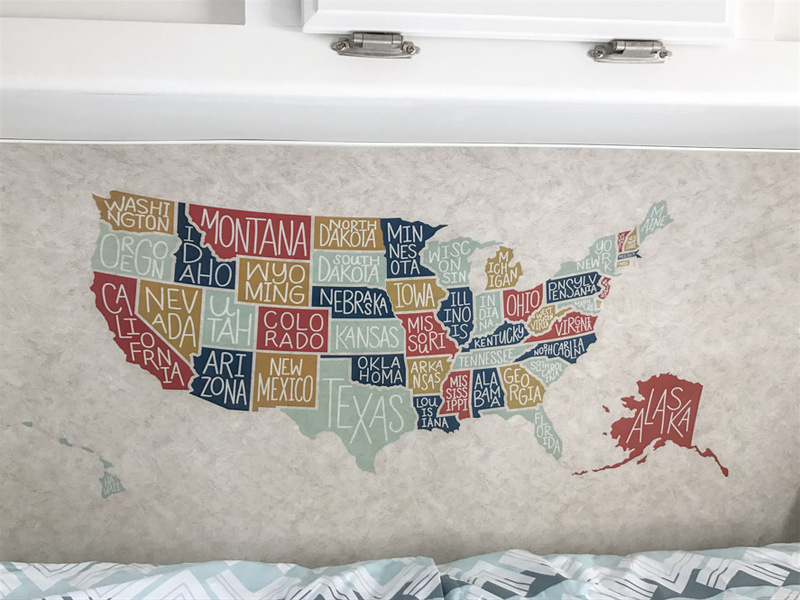 There is a bit of wall space in a motorhome. Painting the walls or wrapping them up with wallpaper is a good idea but if you want something budget friendly, hanging wall décor pieces is an excellent option. These could be posters, your favorite quotes, collages of various pictures, family photos, small decorative pieces, or anything else that makes you happy. The decorative items are the easiest and cheapest means of sprucing up a place. Wall decor can really elevate a place. Wall decals are also a good choice as they are inexpensive and removable. In case of other things, use command hooks, tape, or putty if you don’t want to drill any hole in the wall. Cold, hard floors are good for cleaning but they don’t feel comfortable and definitely don’t feel like home. A couple of comfy area rugs in the bedroom, near the couch, and the entertainment area greatly increase the comfort quotient. Rugs add texture and patterns to the overall decor. You can also use kitchen and bath mats. Plus, runners on heavily trafficked areas will keep the floor clean. 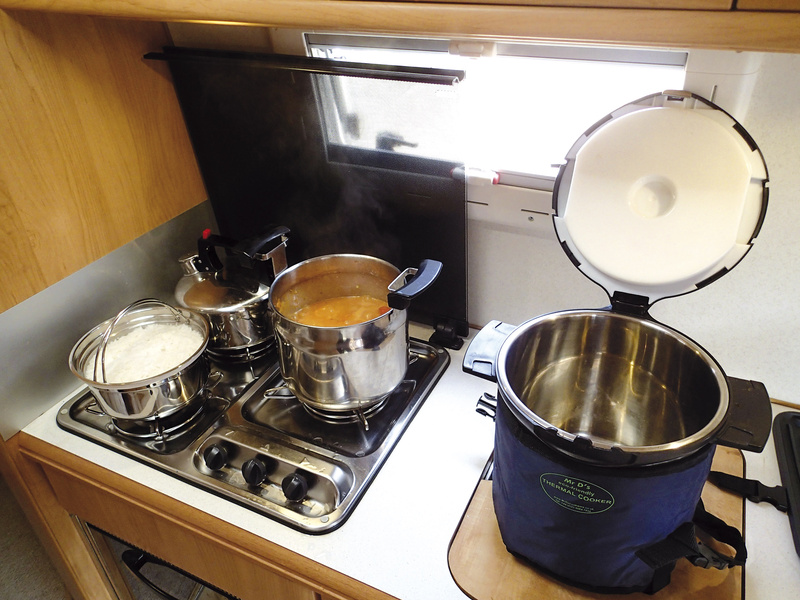 Cooking pans and pots are an essential part of RV camping and it will feel more like your home kitchen when there will be one or two of your favorite cooking pots. Try to cook some comfort foods in these pots often. Remember that nothing could be more comforting than a warm bowl of your favorite soup prepared in your favorite cooking pot. Bring you favorite cooking pots. If you are a bookworm and have a library in your home, nothing could give you more comfort during a long road trip than a couple of books. Mix up some old favorites with a few from your favorite genres. A Kindle full of books is a good idea but some real books can really change the environment and make it more like something that you are missing. A few favorite books will help. Most RV campgrounds have lending libraries where you can trade books. Pick a few books up and drop off a couple more. In this way, you don’t have to carry more than four to five books. Apart from these things, some more items that can be a part of this ‘recreating a home away from home’ project are a few planters with flower or decorative plants, a collection of your favorite DVDs, a good-quality music system with portable speakers, one or two foldable but comfortable chairs, and a mini collection of good-quality wines (for special nights). None of these things (except for an RV mattress) will cost you a fortune.